Daman and Diu is really very beautiful as these are enticing paradise, surrounded by Gujarat. 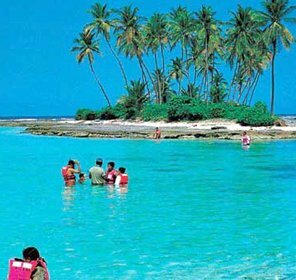 Very popular for beaches and liquors, these two islands are haven for tourists to escape the clamor of boring life. Whether it's a rich historic past or the soft song of the anglers, Daman and Diu offer everything to make a fascinating paradise for the one in search of serenity. Daman is located on the coastal side of the Gujarat in India, which was earlier a Portuguese enclave. It's bordered on the north and south by the Kalem and the Bhagwan rivers. Being a popular gateway for the locals, it offers a perfect picturesque view with blissful atmosphere. 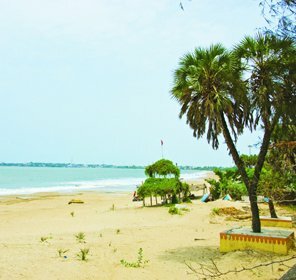 Diu on the other side lies in the Gulf of Combay near Veravd port and away from the Saurashtra coast of Gujarat. 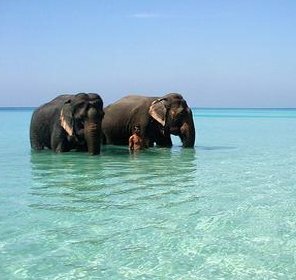 The fascinating tropical beaches of Diu represent fabulous palm groves, golden beaches, and monuments of pasts. 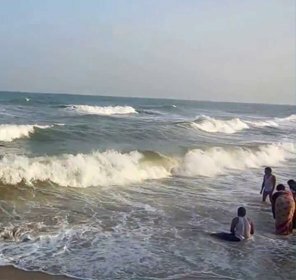 In addition, these beaches offer excellent hospitality to its tourists with famous restaurants and hotels serving delicious sea food and lodgings to suit every pocket. The enlightenment on festive days is a big treat to the eyes. Daman &Diu have gorgeous colonial forts and churches having magnificent architecture. 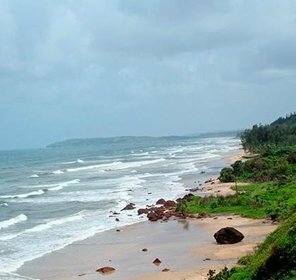 With soft sands, monumental churches & forts, coconut groves, dreamy villages and gentle winds, these beaches look fascinating. 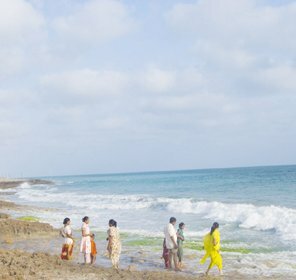 So, come and enjoy your holiday at the beaches of Daman and Diu, which offer with clusters of coconut palms and elating mix of cushy sands. If you are planning for a romantic holiday trip to Daman and Diu, you don't have to worry about the availability and the accommodation facility. These places are available with variety of hotels and tourist amenities. Daman and Diu accompany the modern facilities and in various ranges. There are many kinds of cottages, hotels and resorts that are available according to your budget. Whether it's about room service or outdoor & indoor facilities, everything is well managed by them to make your stay comfortable. Located on the western coast of India, Daman and Diu is the land of festivals and fairs that represent their own tradition of the land. 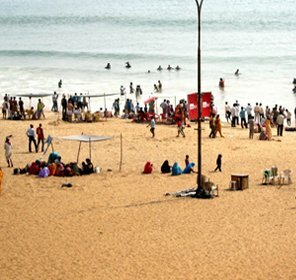 A large number of tourists crowd this place for exploring the serene beaches and the bountiful sea. So, if you are looking for isolation, then Daman and Diu will be the perfect spot where privacy and celebration exist in alongside. Over here, the festivals and fairs are very important part of the social life. It's celebrated with pomp and magnificence. In fact, the music and dance are considered as inherent parts of the socio-cultural life over here. There are fascinating tourist attractions in and around Daman and Diu that include picturesque sun-bathed beaches, popular churches and colonial forts. Including all these, you'll find a rich culture and heritage over here that provide very sparkling festive days and nightlife. Daman and Diu is the second smallest union territory of India and the perfect combination of Indian, European, Tribal and African cultures. Its cuisines are determined by these cultures. All the culinary delights served over here are especially made by qualified chefs. Additionally, the restaurants and eating outlets offer all kind of dishes like Chinese, Indian, Mexican, Thai, etc. Along with these delicious cuisines, you can also enjoy wines and hang on till wee hours. Well, shopping in Daman and Die is not a bad idea as the place is especially known for custom shops selling seized foreign items in economical prices. Shopping over here gives a cool experience. So if you are a shopaholic, you will definitely love to buy bamboo baskets & mats, leather slippers, electronic goods, gift items, and other household goods in reasonable prices. Some of the well-known shopping areas are Maharaja Super Market, Princess Park at Devka Beach. Throughout the year but the best climate is seen from November to February. So, plan your next holiday trip to Daman and Diu and get huge discounts & offers on booking from Tour My India. How to Reach Fort Daman & Diu? The nearest airport is at Mumbai, which is at the distance of 193 km. The nearest railhead to reach Daman and Diu is Vapi, which is 10 Kms away. Other nearest railheads are Mumbai and Ahmedabad that are also very close from Daman. NH 8 connects Daman & Diu by road with Mumbai 193 Km, Ahmedabad 367 Km, and Vadodara 300 Km.